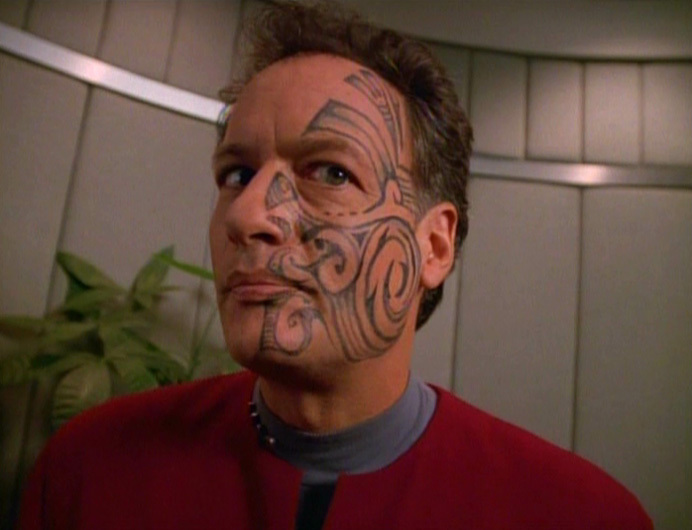 John de Lancie thought that his character’s name, Q, was short for question; which is what his character was often doing, but he was eventually told that he was just named after one of Roddenberry’s buddies. de Lancie liked his version better. 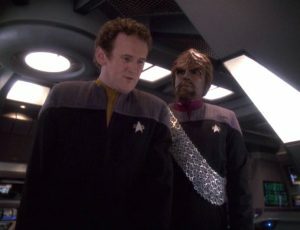 When he first appeared, Q was compared with the original series guest villain from the episode “The Squire of Gothos.” “The character of Trelane is so…has a lot of characteristics that are very much like Q,” de Lancie said. “That’s when it occurred to me that Gene had probably called upon that character, either consciously or unconsciously. It’s kind of carrying that baton through time. …I didn’t write the character of Q. I filled out the character of Q.” de Lancie and the writers changed Q pretty quickly, so that by his fourth appearance, in Déjà Q, there would be no reason to even recall Trelane, though he was still essentially Q. He was also so essential to the series that Star Trek: The Next Generation both began and ended with the character. Another thing that carried through the run of this series, and I suppose an overarching theme of this series, was the benefit of getting along well and honestly in any venture; especially with one’s subordinates. Where there was strife, usually in response to some pretty unbridled imperiousness, people of quality left, and chaos followed. Such was the case in the building where the producers and writers worked, through season three, until the calm head of Michael Piller was given some oversight, and some of the building’s villains receded. Before the calm, the vicissitudes of life caused great ripples in the show, such as a writers’ strike derailing season two. They couldn’t even get all of their episodes done that year. Yet, when season five began with effectively the same issue, ‘there are no scripts ready’, the result was one of the show’s best years ever. Meanwhile, across the lot in the building with the sets, amity was the norm, enough that sometimes that team could rescue the other building’s bad output. It was the norm on set from the beginning, and it remained so through the very end of the series. When The Next Generation started, there was no science fiction on television. Soon it was all over TV. In 1992, a cable channel was formed to show nothing but science fiction programming, called The Sci-Fi Channel (its name later changed to something silly). Regardless of these things, and its general regard as a show of high quality, the series was never taken seriously, say, by the Emmys. Until its last year, when it was nominated for Outstanding Drama Series, each year of its run the nominations (and many wins) were in the technical categories only. No writers, actors or directors were nominated for TNG. It just wasn’t considered. Presently, all television series are considered for awards regardless of how they’re delivered to people – streaming, cable, networks, syndicated – but in its time, a show was only taken seriously if it was on a major network. Even HBO’s programming wasn’t considered back then. Four years later, by the time the series had ended, it had not only recovered all losses, but had already brought in $293 million in profit just from the show, to say nothing of $750 million more from retail sales (toys, shirts, videos, etc). 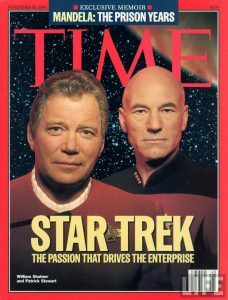 The Star Trek novel series had become the best selling series in publishing history (as of 1994, before Harry Potter). There were 3000 conventions a year. Paramount had gambled well, in part by paying for quality. Rick Berman credited them for their budgeting. There was a standard for syndicated series, but Paramount gave them an amount comparable to network series. Extending Star Trek past The Next Generation had been done primarily as a logical business decision, not an artistic one. Deep Space Nine was requested by Brandon Tartikoff, head of Paramount. Because it would run along side TNG for two years, it needed to be different; therefore the setting of a way station rather than a ship that moves around, and a high presence of non-Starfleet characters. This gave the writers freedom to finally write internal conflict into the show, and to cast, you know, surly people. Right from the start, Michael Piller specifically wanted a black captain. They read more races for the role, but that was the hope, one which was realized. I remember thinking, “Hmm, whatever,” but it made a great impact on my aunt, who was alive during the civil rights era. They also incorporated more secondary characters, like Whoopi Goldberg’s Guinan, who had been in 29 episodes over five years of The Next Generation. The art department (Mike Okuda, specifically) mentioned that Paramount was very careful with money on Next Generation, but by the time of Deep Space Nine, they knew that Star Trek was a success, so they were more generous. When DS9’s ratings started to slip (I myself never got past the middle of its third season) Worf went over starting in its 4th year, to boost them. Since two Star Trek series worked, Berman, Piller & Jeri Taylor were tapped to create Voyager, which would begin its run in January of 1995, about 7 months after The Next Generation went off the air, immediately after their first feature film hit theaters, and while Deep Space Nine was starting its third year. Piller & Berman thought they were pushing it a bit, but in shades of Star Trek: Phase II in the 70’s, it was to be the tentpole of a new network, the United Paramount Network. They got a spaceship back for this one, this time to contrast with DS9’s stationary station. A fine film actress named Genevieve Bujold read for the captain; but while Piller, Taylor and Paramount liked her, Berman had misgivings about her being on a TV series – mainly the rigors. They told her everything about how hard it would be, making it sound as bad as they could, she agreed, then she quit on the second day of shooting. She’d had trouble with memorization, wouldn’t let the makeup crew touch her, balked at working with a director she didn’t know, and went to her trailer in tears. Berman and director Winrich Kolbe went to her trailer, and nicely let her go. Shutting down is very expensive, but they did, going with second choice – Kate Mulgrew. 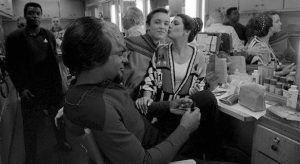 Also cast was Tim Russ, who had been the second choice for Geordi and played a starship hijacker in an episode of TNG. In 1996, the second (and most successful) Next Generation movie, Star Trek: First Contact, came out as DS9 entered its 5th year, and Voyager its third. Voyager’s ratings started slipping in its 4th year, so they “brought a babe onto the show” (I’m quoting Berman here), but one who was a Borg. The character was a great success on the show. TNG’s third movie, Insurrection, hit screens in December of 1998. It was the middle of DS9’s seventh and final year, and the middle of Voyager’s fifth of seven. Deep Space Nine ran from 1993 to 1999, always overlapped by either The Next Generation or Voyager, then Voyager ran alone for its final three years after DS9 went off the air. Voyager went 7 seasons, ending in May of 2001. The final contiguous series, Enterprise, came on right after Voyager ended, in the fall of 2001, and ran alone for four years. During Enterprise‘s second year, the final Next Generation movie would be released, in December 2002. This was Star Trek’s final overlap. The movie, Nemesis, was neither critically nor commercially very successful. I had issues with it too; despite two pretty snazzy elements, Tom Hardy’s performance, and a great big, heavy battle at the end. In its Season 3, Enterprise had a season long arc, the first time a Star Trek show had one continuous story through an entire season. Berman said that this “allowed Archer to become a stronger character, and a tougher character. The same thing is true with most of the cast.” This echoes arguments Ron Moore had made to Berman back when The Next Generation preferred to allow nothing to carry over from any episode to later ones, that it builds the characters. Apparently Berman learned that. He then allowed a new writing team to incorporate Enterprise‘s season four more closely and directly with the original series backstory, which Enterprise would naturally be a part of. Neither of these things saved the show, which is believed to have gone four years only to generate enough episodes to be syndicatable. 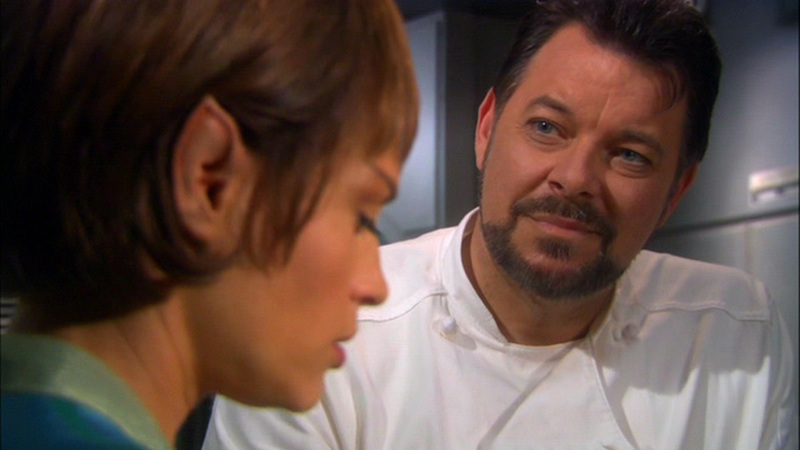 Berman has said that he thinks the reason both Enterprise and Nemesis were unsuccessful was “series fatigue”. I think they could have stood or fallen on their own qualities, but looking at the overlaps above, two series at a time for almost a decade, with four feature films also overlapping, there may be something to his idea. There was so much to keep track of, Trekwise; so many canons being built and staying out of each others’ ways. People had had new Star Trek for 18 years. It was so much, maybe too much. He thinks the audience just got fatigued off Gene Roddenberry’s vision, and they all dwindled away. It’s not a beautiful ending. Most things on television don’t fly off in triumph, like The Next Generation was able to do. They play out until they have to be drug off screen. Of course, nothing stays dead forever. Thanks for reading Redeeming Culture, and thank you for coming along with us on the Trektember voyage. This is the last entry in the Trek Backstory series (if you’ve missed any, you can find them here), but there’s one more Trektember article coming tomorrow. Hope to see you then.